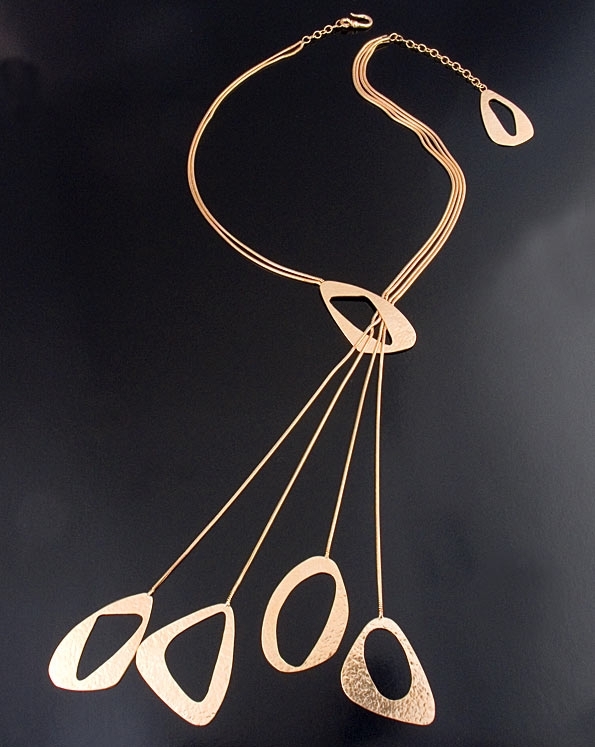 24 karat vermeil rose gold pendant necklace by Herve Van Der Straeten. Necklace has three snake chains on one side and two on the other side. A unique pendant of four dangling shapes hangs in the centre. A dramatic look that will add pizzazz to any outfit. Also perfect for a gift. Pendant drops: 19cm / 7.5"
Chain Length: 42.5cm / 17 ". Extender: 5.5cm / 2.3"